Missing and damaged teeth can make it difficult to smile, speak, and eat. Dentures and partial dentures are an affordable and effective treatment for replacing missing teeth. At Gregory J. Toone, DDS, we offer partial and full dentures, depending on the severity of your tooth loss. Full dentures, sometimes referred to as complete dentures, are used for treating total tooth loss. Partial dentures are used to replace some teeth, when there are still healthy teeth remaining. Dentures are one of the most popular tooth loss treatments, due to their ability to help you restore your smile and facial structure without requiring surgery. Dr. Toone offers a variety of denture-types, depending on the condition of your dental health and your cosmetic goals. There are two main types of complete dentures, conventional and immediate. Conventional dentures are crafted after the patient has already lost their teeth and the gum tissue has started its healing process. Conventional dentures can be placed in the mouth about 2-3 weeks after the teeth are extracted. Immediate dentures are crafted prior to the patient’s tooth extraction, and they can be worn directly after the teeth are removed. Immediate dentures are convenient for patients who do not want to go without teeth during their healing process. Immediate dentures are a convenient temporary solution for tooth loss. However, as the extraction area begins to heal, immediate dentures can require multiple adjustments and become ill-fitting over time. Partial dentures are used when there is still one or more healthy teeth in the lower or upper jaw. Partial dentures are made out of prosthetic replacement teeth that are attached to a gum-colored plastic base, much like an orthodontic retainer. Partial dentures work by filling in the space of a missing tooth, which can prevent other teeth from shifting and restore the appearance of the smile. 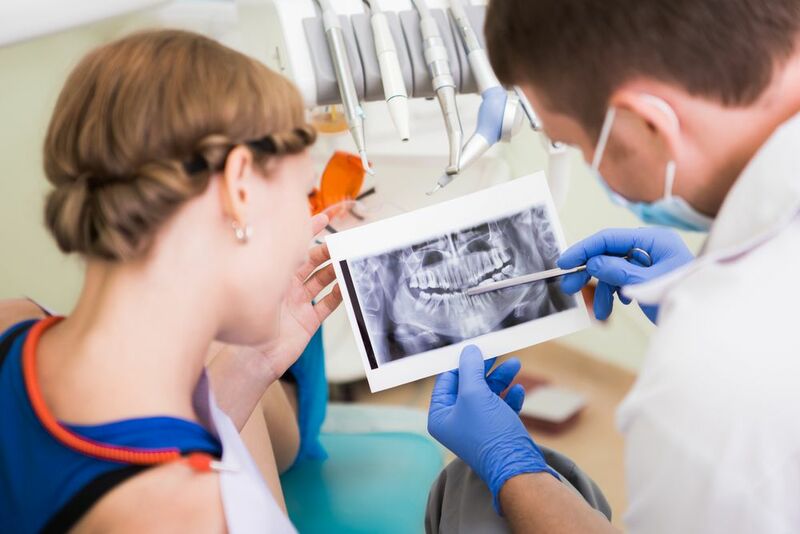 At Gregory J. Toone, DDS, we will take molds of your teeth to create a partial denture that replaces missing teeth in whichever pattern they are lost, making a natural-looking restoration that remains securely in place. To treat your tooth loss with dentures, we will need to map out a treatment plan. First, we will take impressions of your jaw, along with measurements of your bite, so that your dentures will close properly. Then, we will need to create models that resemble the exact size, shape, and position of your denture. This model will need to be tried several times. During the model phase of your denture treatment, we will also discuss your goals for the color and shape or the teeth, and you can discuss and concerns with the fit. Once you are happy with your model denture, we will create the final cast, and then make adjustments as necessary, until you are comfortable with the way it looks and fits in your mouth. What will my dentures look like? We create our dentures to look as much like your natural teeth as possible. Many patients agree that their dentures improve the structure of their face, along with their smile. In the beginning, your dentures might feel a little loose or unnatural. The muscles in your cheek and tongue will need some time to adapt to your dentures. Over time, you will find the best way to hold them in place, so you can feel comfortable removing and inserting them. As you get used to wearing your dentures and have them adjusted, most discomforts will start to decrease. Most tooth loss patients agree that eating becomes much easier with dentures, versus trying to eat with missing teeth. At the same time, eating with dentures will take a little getting used to and require starting with soft foods that are cut into small pieces. It is also important to be mindful of your chewing habits, and make sure you are chewing with both sides of your teeth. Once you get used to chewing with dentures, you will be able to return to your normal diet. However, you should be careful when eating hot, hard, or sticky foods. Do I sleep in my dentures? One of the biggest benefits of dentures is that they are removable and easy to clean. For the first week or so of your treatment, you might need to wear your dentures full-time, even while you sleep. This is the easiest way to tell if your denture needs to be adjusted and identify any problem areas. Once your dentures are properly adjusted, you can remove them while you sleep, which helps your natural gum tissue rest. Leaving gaps in your smile can cause a variety of health issues. Missing teeth can make it hard to chew and bite effectively, which can cause indigestion problems. It can also lead to bone density loss in your jaw, and cause your remaining teeth to become misaligned. Don’t let your missing teeth lead to more advanced damage. Schedule a consultation with Gregory J. Toone, DDS, and find a treatment that works for you.